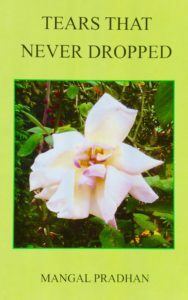 ‘Tears That Never Dropped’ By Mangal Pradhan (Review by John Patchett). Copies of this book are priced at £5 including postage and can be obtained from Maj J Patchett by phoning 01540 661800. 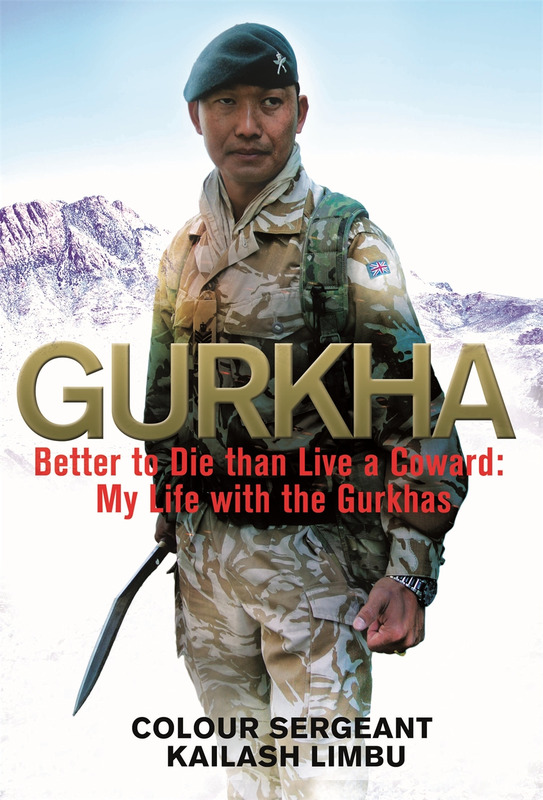 There have recently been published some very impressive autobiographical accounts by Gurkha soldiers about their war fighting and other operations. Here, for a change but equally welcome, is a short romantic novel by a Gurkha Colour Sergeant who has been retired for some time. I knew Mangal Pradhan when we were both posted to Brunei many years ago. He served his writing apprenticeship with carefully crafted magazine articles, based on his military experiences and his home life in Kurseong in Darjeeling District. This is his first work of fiction. ‘Tears that Never Dropped’ sets out to make us reflect on the military life we live and its impact on others, particularly our families and others we love. Mangal does not adopt a moralizing tone and he desists from elaborating on the barracks existence of Gurkha soldiers overseas. He safely assumes the reader will know enough about that literally uniform experience. He expends his energy instead on relating how one individual finds that love and army life can often make difficult bedfellows. Here is the joy and hope of youth, offset by the sorrow and regret of later years. In both action and appearance the main characters are convincingly developed, and their dialogue is well thought out. The rural setting is brought to life with a local artist’s eye, whilst the hubbub of the towns passed through also rings true. The author shows with the end result that he spent a long time devising the strands that form a plot with considerable tension and true surprises. His use of idiom puts many native English writers to shame. Mangal confused me by giving the hero his own first name. Once I realized it was clearly not an autobiography, I felt some relief and began to enjoy the story. My only other gripe is at the proliferation of minor characters whose role is sometimes unclear. But as a first novel this is very promising indeed. I thoroughly recommend it to all who want to read of the trials of a distant love and the pressures of separation, set in a wild and wonderful part of the world. Mangal had this attractive little book printed in Kalimpong. All profits will be used in the Kurseong area to alleviate hardship for Ex Gurkhas, who are constantly repairing the damage caused by earthquakes and other natural disasters. As the long standing Secretary of the Kurseong Branch of the British Gurkha Ex Servicemen’s Association, he is regularly involved in providing advice and assistance over a large area, along with Captain Tendup Lama and the other committee members. Neville Sarony is currently a practising QC in Hong Kong, but he has also managed to find the time to write two novels, both extremely exciting thrillers. As a national serviceman he served with 2/7GR in Malaya and Singapore, and since then most of his working life has been in Asia and the Far East. The Dharma Expedient is set in the indefinite future focusing on the escape of an infant 15th Dalai Lama from Tibet. A retired Royal Gurkha Rifles Officer Max Devlin who is trying to make a living in the trekking world in the Himalayas suddenly finds himself at the centre of events. 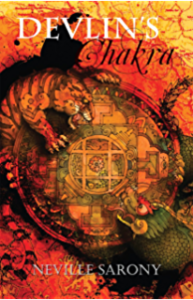 He becomes the focus of a highly complicated scenario which has tentacles linking Nepal, China, and India. From the high mountain passes, the fast-moving plot takes a number of dramatic twists and turns before coming to an enthralling climax in the Terai of Nepal. Retired Gurkhas play a part and there is also a wee bit of romance. Devlin’s Chakra, Devlin finds himself in the midst of another international tussle, this time for the ownership of the Dalai Lama’s treasure which has been left for safe-keeping in a Sikkim monastery. Buddhism, the Gurkha world and again the competing interests of China, India and the Dalai Lama’s government in exile come into the mix; and once more the action is frenetic before coming to a fascinating conclusion in a Hong Kong court of law. WO2 Kailash Limbu, from Second Battalion The Royal Gurkha Rifles, was selected by the brigade headquarters to be the first serving Gurkha Soldier to tell his story. His autobiography tells the inside story of the 2006 siege of Now Zad, in Helmand Province, Afghanistan. 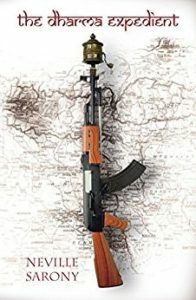 Kailash recalls the terrifying and exciting details of those thirty-one days – in which they killed an estimated one hundred Taliban fighters – and intersperses them with the story of his own life as a villager from the Himalayas. He grew up in a place without roads or electricity and didn’t see a car until he was fifteen. 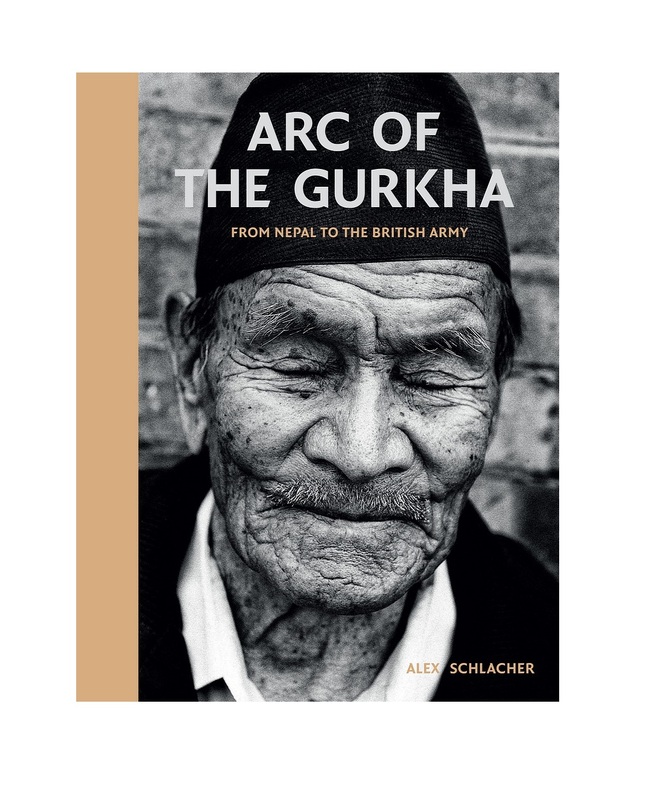 It is a stunning and powerful book of photographs that reveal the human face of the legendary Brigade of Gurkhas. Only available, in soft back, from the Gurkha Museum Code 182: £15.95 plus £4.50 p & p.
THE STORY OF GURKHA VCs by Maurice Biggs (Revised 2012). Dedicated to the Hillman of Nepal, whose loyalty, cheerfulness and comradeship has been an inspiration both in peace and wars. Code 124: £10.00 plus £4.50 p & p.
Nepal is a culturally diverse nation with an equally diverse variation in the availability of culinary ingredients. Given its landlocked location, there is an inevitably insignificant influence on Nepalese cuisine from its neighbouring countries India, China and Tibet and although curries are commonplace, as is for example naan bread, each dish in this book is given its own unique Nepalese twist. 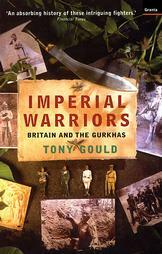 Available from the Gurkha Museum Code 1009: £14.99 plus £4.50 p & p with £5.00 being given to Gurkha Charities. Winner of a number of awards including the Gourmond World Cook Book Awards 2012 – UK Best Fund Raising Book in Europe. J P Cross served with the Gurkhas for all but three of his 39 years in the British Army and since retirement has lived permanently in Nepal with his surrogate family. An expert on Nepalese History who has been awarded both the MBE and OBE, he is a prolific author. This is the last in his series of five historic novels. 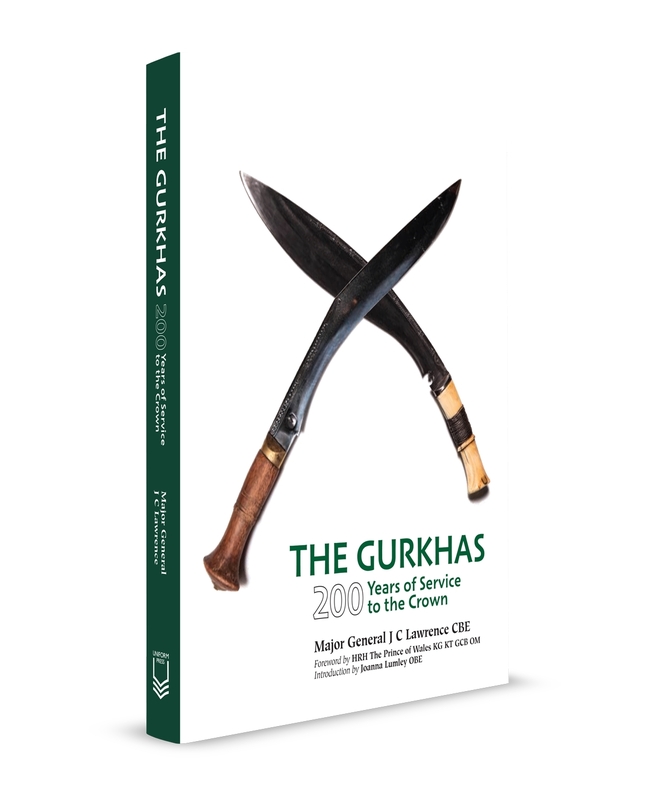 Combine your order with a copy of The Mountain Kingdom Volume 2 – The Gurkhas and their Homeland Code 182: for £15.00 plus £4.50 p & p.
Colonel Bruce Niven PPA MBE MA is generously donating all profits from the sale of these books to The Gurkha Welfare Trusts (Registered Charity No: 1034080) which works to relieve hardship and distress among Gurkha ex-servicemen and their dependants in Nepal and to the Gurkha Museum (Registered Charity No. 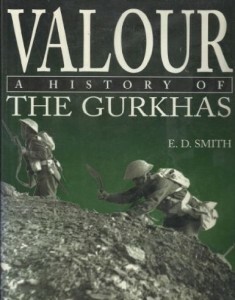 272426) which provides a living tribute to Gurkha Service to the British Crown.